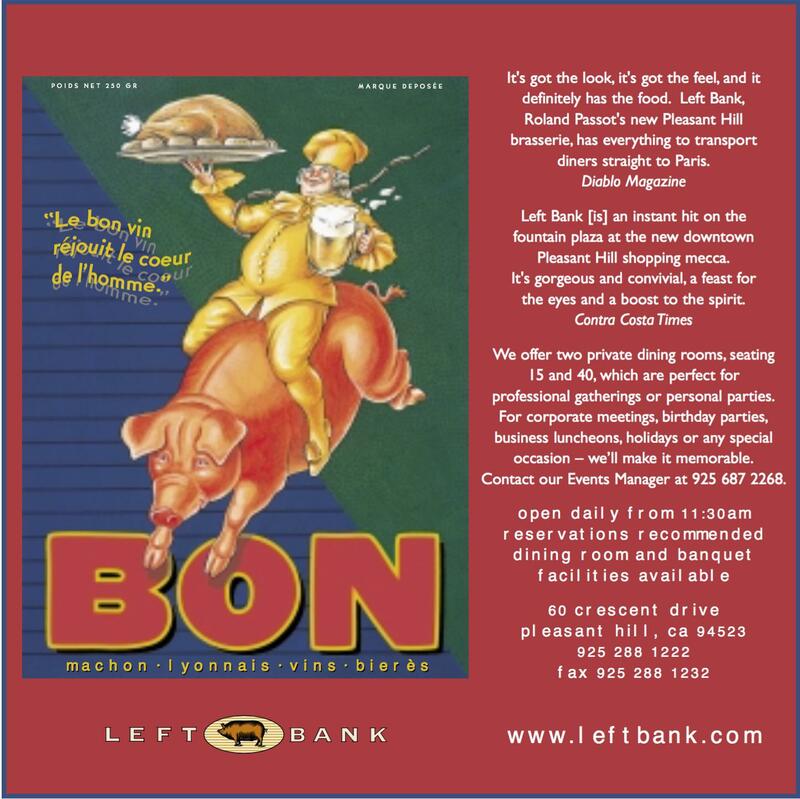 Bon – this full page color ad ran several times in Diablo Magazine, a glossy regional publication with an audience of upscale readers from the East Bay. Bon Anniversaire! 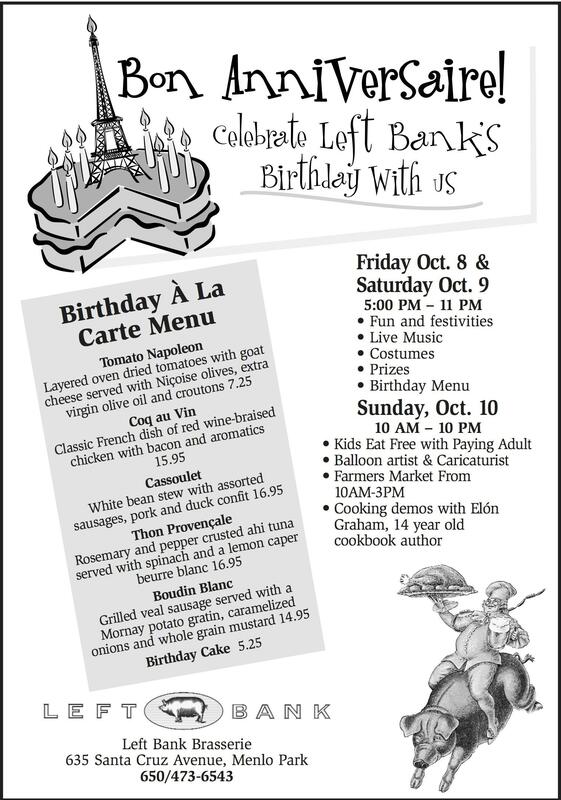 – this 8.5” x 11” flyer (also printed poster, a 3.6” handout and a half page table tent) advertised Left Bank Menlo Park’s three-day anniversary celebration. In addition to special menu items, several activities were planned, including a Sunday with family-themed events. 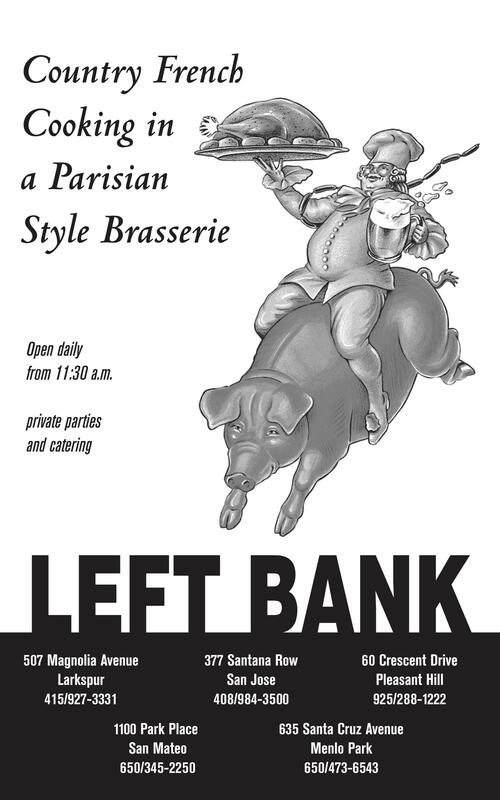 Country French Cooking – this black & white ad was created to advertise the five Left Bank brasseries located in the San Francisco Bay Area. This ad was printed in regional newspapers and magazines, nonprofit event programs, and other media opportunities. 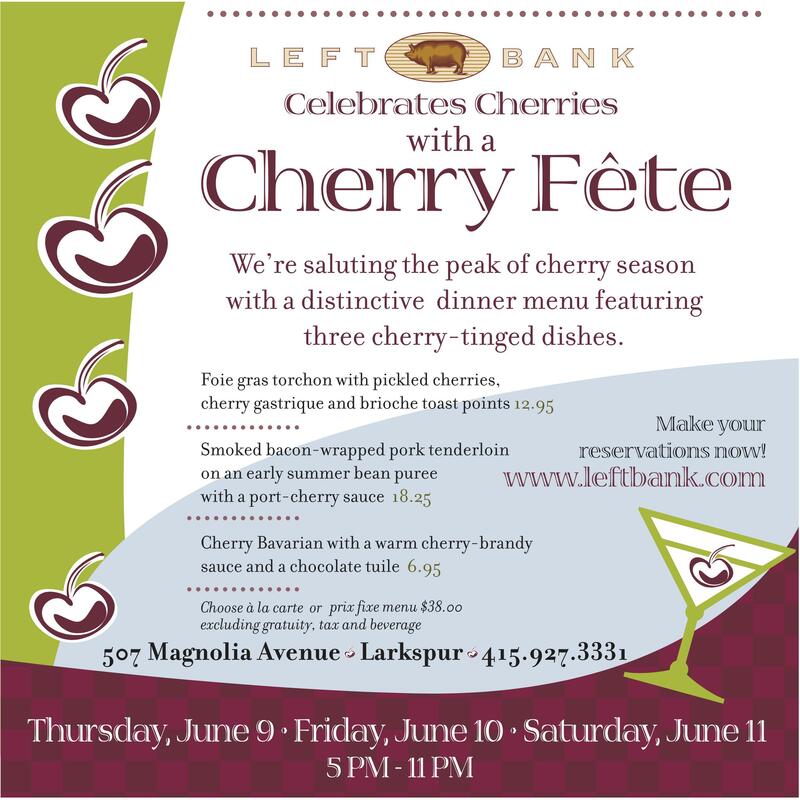 Cherry Fete – this 8.5” x 11” full-color flyer (also printed as poster, a 3.6” handout and a half page table tent) advertised a three-day cherry festival event held in Larkspur’s Left Bank. 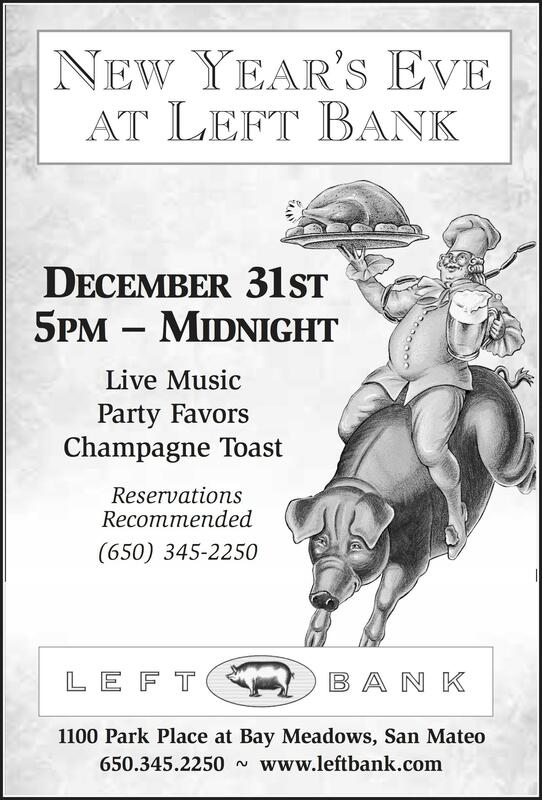 New Year’s Eve – this was reproduced as a flyer and a print ad specifically for the San Mateo Left Bank. 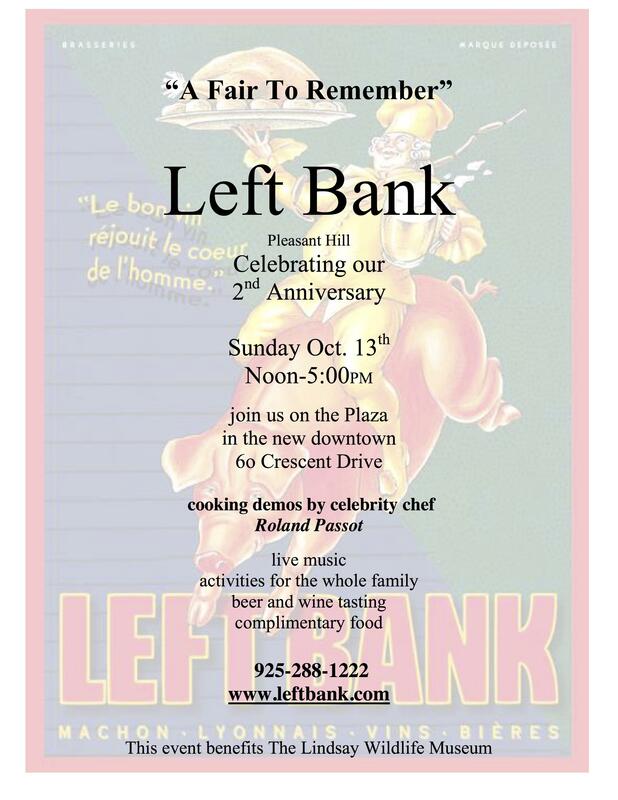 A Fair to Remember – This 8.5” x 11” full-color flyer (also printed as a poster and a print ad) was designed to publicize an outdoor celebration held at the Left Bank Pleasant Hill. 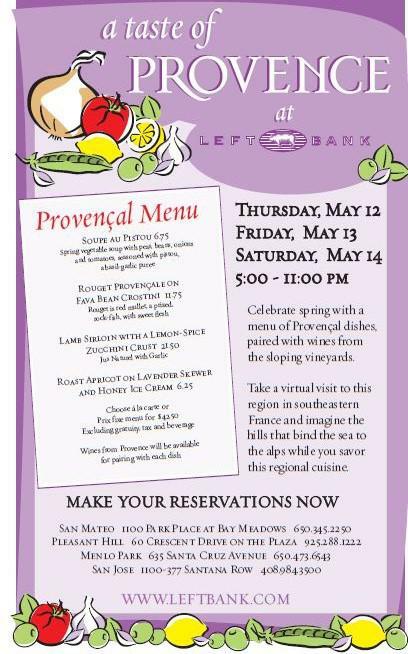 A Taste of Provence – this 8.5” x 11” full color flyer (also printed as poster, a 3.6” handout and a half page table tent) advertised a three-day food event with special menu items held in four of the brasseries.